Stir the above into the existing jar of starter until combined. Cover with cheesecloth, or a lid with holes poked to allow “breathing”. Let stand at room temperature for about a day and a half. Store in the refrigerator. Here’s a video of me “feeding the b!tch”. Stir your starter & allow 1C to stand at room temperature for 30 minutes before using. Combine 2 1/2C of flour with the yeast and set aside. Add water mixture to dry mixture in mixer bowl. Add starter. Beat using mixer fitted with a dough hook for about 30 seconds on medium speed, scrape down the bowl, then beat on high speed for 3 minutes. Combine 2 1/2C of flour with baking soda, and add to dough mixture. Add all the remaining flour until combined and knead in the mixer (that’s why we’re using a dough hook) for about 6-8 mins until a firm ball of dough is achieved. 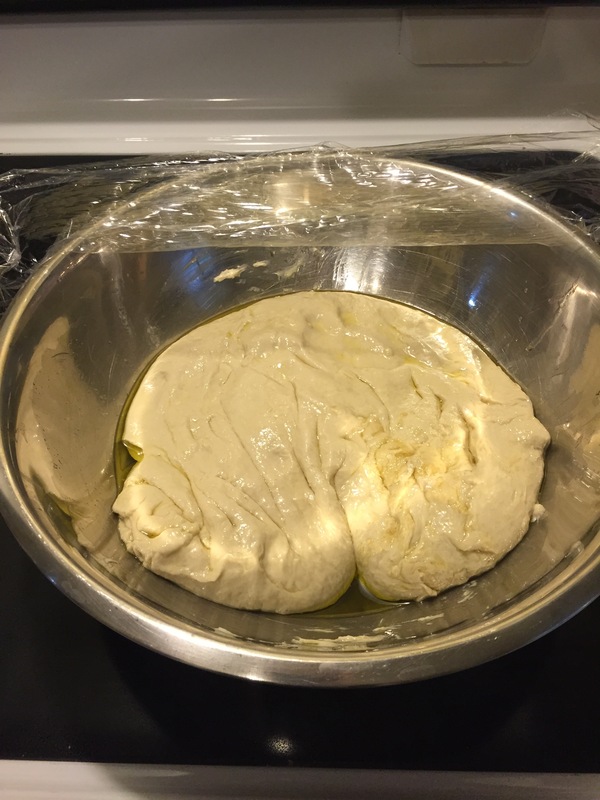 Place the dough ball in a bowl coated in olive oil. Cover with plastic wrap and leave in a warm place (I usually use my stove top area) to rise for at least 45 minutes. 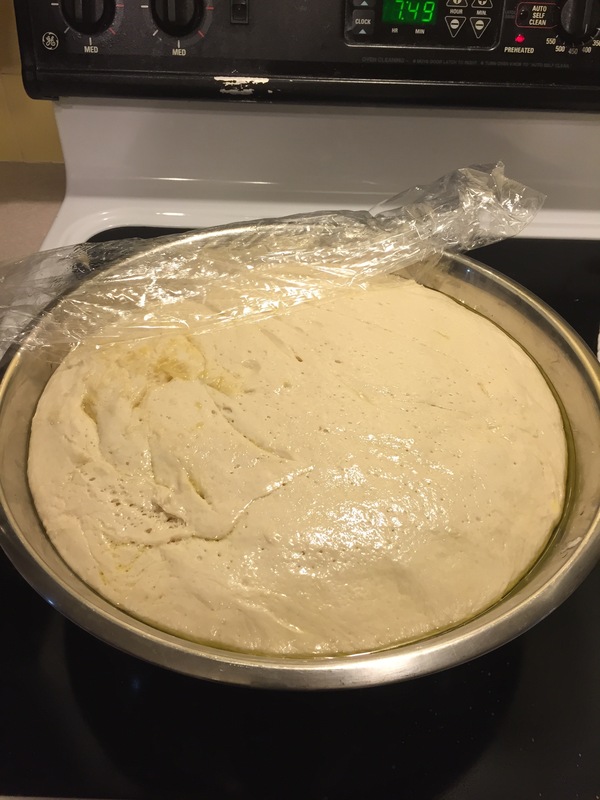 The dough will double in size. 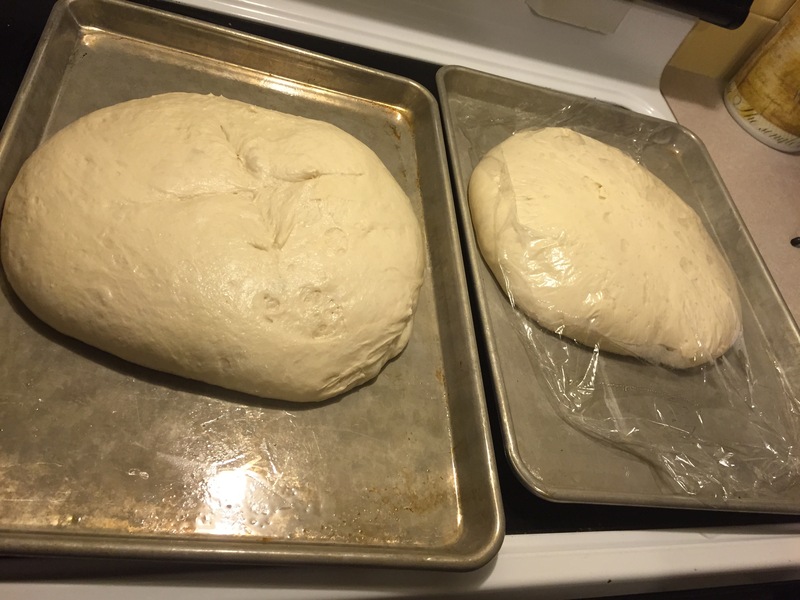 After 45 minutes, punch down the dough, divide in half, cover, and rest for about 10 minutes. Form dough into 2 rounds, tucking any scruffy bits underneath. Place on a lightly greased baking sheet. (These will get BIG. You may want to use 2 separate baking sheets.) Make a criss-crossed slash across the top of each round to prevent cracking. Cover & allow to rise a second time, for about 30 minutes. Bake in a 375F oven for about 35 minutes per loaf, covering with foil for the last 10 minutes to prevent over-browning. Cool 5-10 minutes before cutting.